Have you checked out our first Fun Facts post yet? There will be a total of three fun facts related to Halloween and then I will do more for Thanksgiving. I hope you will check them all out. I know I am having fun doing them and learning about so many different things. 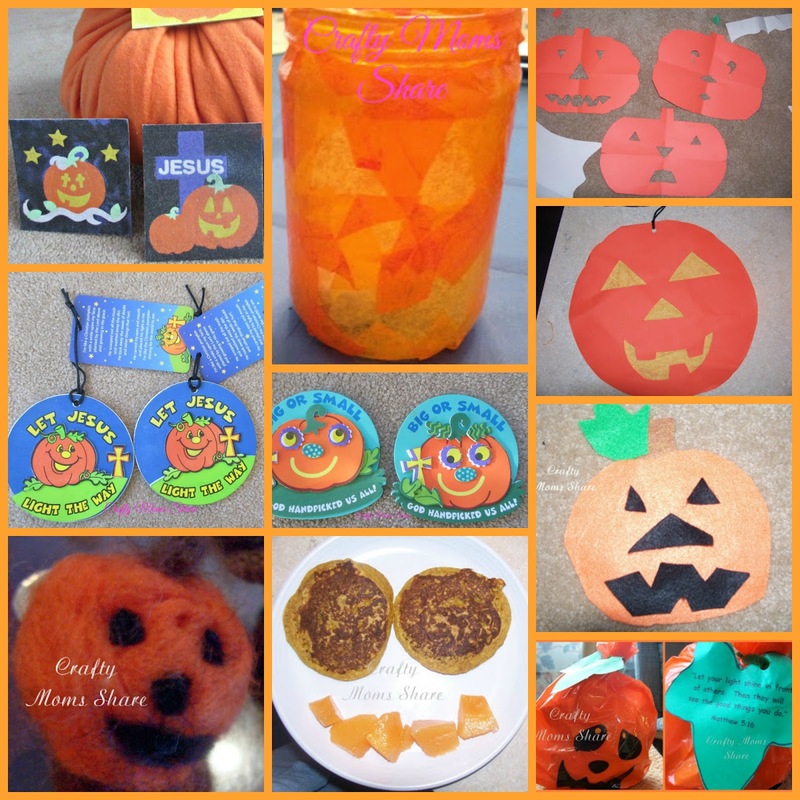 Today we are talking about jack-o'-lanterns. 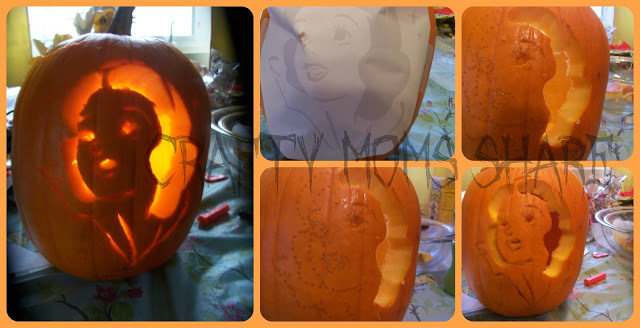 Have you carved yours yet? The name of jack-o’-lanterns comes from an Irish folktale about a man named Stingy Jack. In Ireland large turnips and potatoes were carved as the jack-o’-lanterns with scary faces and put them near doors or windows to frighten away Stingy Jack and other wandering evil spirits. In England beets were used. Immigrants brought the tradition to America and began using the pumpkins that grew in their new home. The various vegetable lanterns were stuffed with coal, wood or candles as lanterns to celebrate the fall. 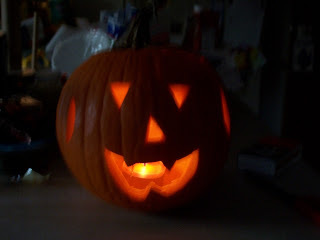 The term jack-o’-lantern first was used for people. As early as 1663 the term meant a man with a lantern or a night watchman. A decade later it began to also be used to refer to mysterious lights seen at night over bogs, swamps, and marshes. The kids began to carve crude faces into the pumpkins and make the lanterns look like disembodied heads. 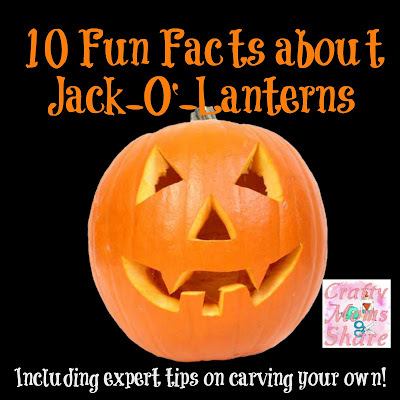 By the mid-1800s Stingy Jack’s nickname was applied to the prank lanterns and the jack-o’-lantern got its name. Toward the end of the 19th century jack-o’-lanterns went from a prank to a standard seasonal decoration. At a Halloween party hosted by the mayor of Atlanta in 1892 the wife had several pumpkins lit from within and carved with faces ending the days of jack-o’-lantern’s day of wandering. In America a traditional jack-o’-lantern refers to a variety of pumpkin grown for carving. They are fairly large in size and have strong walls and a large hollow cavity. In the late 1800s there was a movement to turn Halloween into a celebration emphasizing community and neighborhood activities and parties. This is the Halloween we know today. According to Steve Reiners, a horticulturist at Cornell University, a jack-o’-lantern can last five to ten days. The best temperature for pumpkins is 50-55 degrees Fahrenheit. Tips from Master Carvers include giving the pumpkin a bath before carving it. Etch before carving and carve before scooping it. Scoop it from the back and not from the top. Leave the stem attached. To keep it longer seal it with Vasoline. If it is looking a bit droopy or sad, toss it in an ice water bath for an hour. The largest jack-o’-lantern ever carved was from a pumpkin weighing 1,810.5 lb. It was carved by Scott Cully in the Bronx, NY on October 30, 2010. The pumpkin holds the record for the heaviest pumpkin ever as well. The most lit jack-o’-lanterns on display is 30,581 and was achieved in Keene, NH by Let It Shine, Inc. Keene has broken the record 8 times since its original attempt. The fastest time to carve a pumpkin on record is 16.47 seconds achieved by Stephen Clarke on PIX11 Morning News in New York, NY on October 31, 2013.